Embrace the joys of packing. 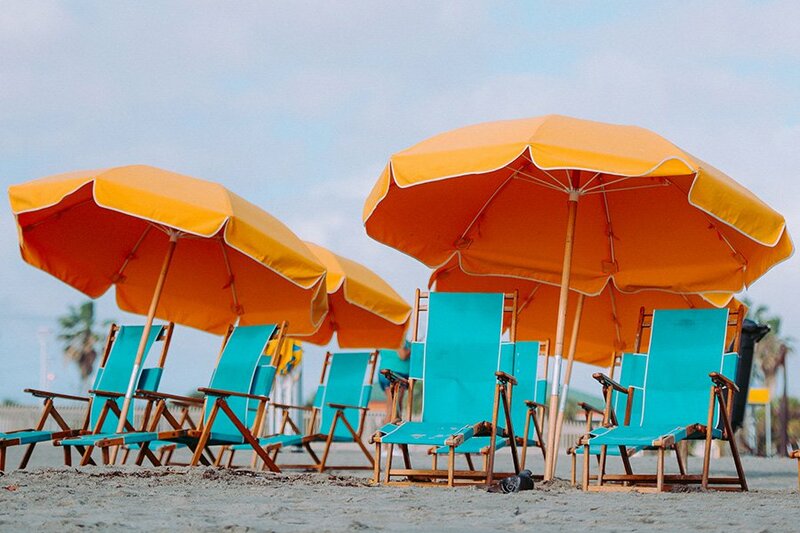 Memorial Day weekend is finally here, and with it, an entire season filled with surf and sunshine, long walks on the beach, and even longer nights by the bonfire. When you take off for a long weekend on the seashore, what are you bringing with you? To celebrate the start of summer, we made a quick and cute stop-motion packing video with the new, expandable, hardside suitcase from and a few essentials Team Gentedimontagna won't leave for the beach without. That includes an everyday gel sunscreen from (for use on and off the sand), a dry skin kit from (to keep us glowing around the clock), a few high-quality phone lenses from (for nailing that sweeping sunset shot), a copy of Jo Piazza's memoir , a trusty pair of , and a colorful swimsuit from . Catch you on the sandy side of summer. From classic sandals and stripped swimsuits to sundresses that scream summer, here are a selection of goods to help nail down your waredrobe just in time for beach season.